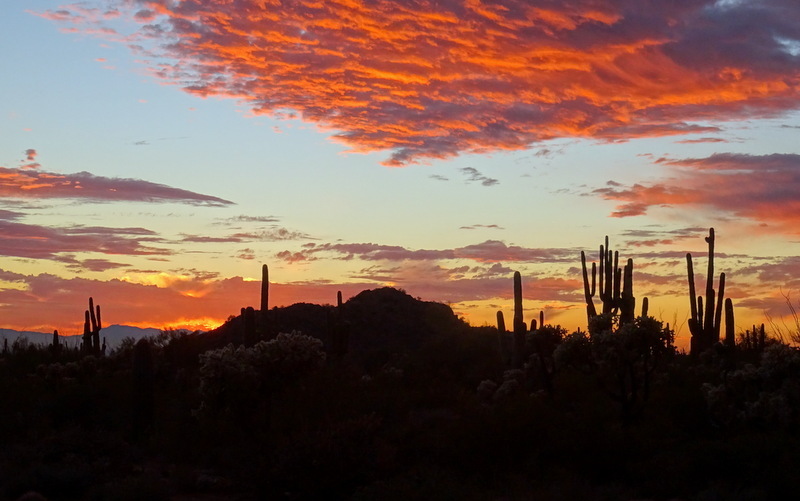 While I don’t have much love for the city of Phoenix, we seem to end up there at least once a year when wintering in the southwest. Over time, it has become our go-to place for annual doctors exams, running every errand imaginable in an effort to stock up for more remote places, and a convenient place to launch from for air travel. For all these reasons, we found ourselves spending a week in Phoenix before flying east for our end of December family/Christmas visit. 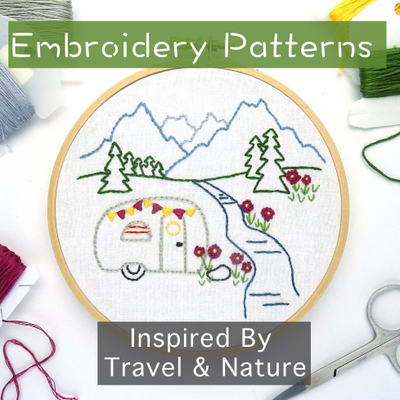 Fortunately, in addition to the endless stretches of massive 55+ RV parks that dominate the area, there are also some amazing country and state parks on the outskirts of the city. 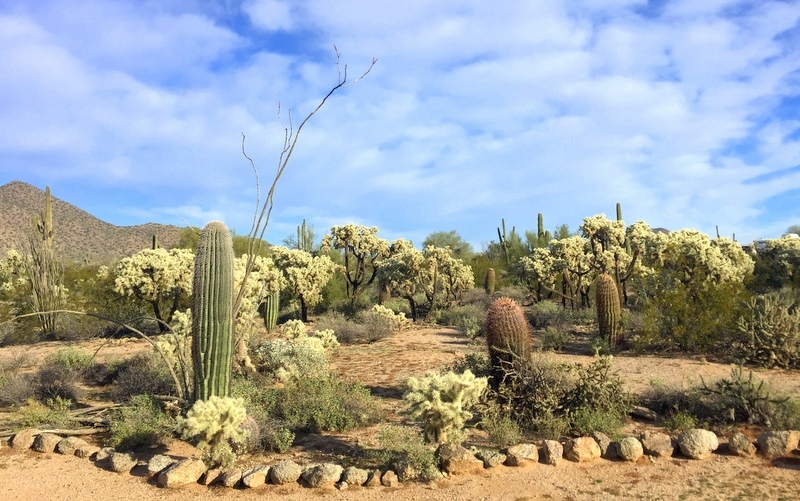 What looks like expensive landscaping is really just natural desert beauty! 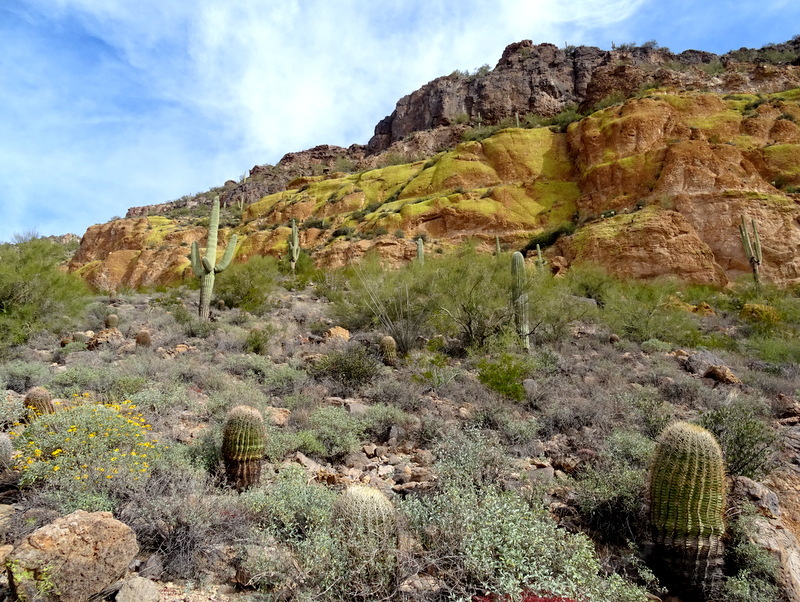 Over the years, we’ve enjoyed Lost Dutchman SP, Mcdowell Mountain Regional Park, and Usery Mountain Regional. McDowell is probably our favorite for their giant sites and fantastic network of bike trails. 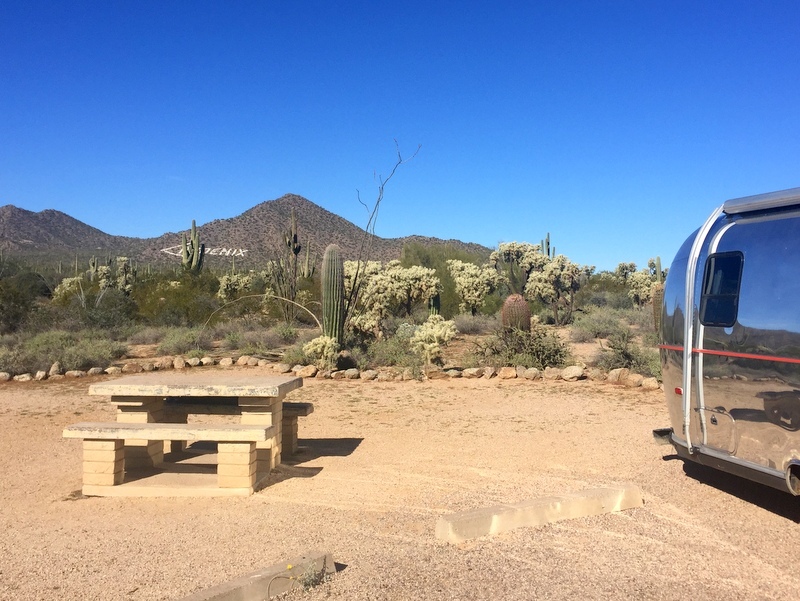 However, it’s pretty far out there and since I had appointments in Scottsdale and we would be storing the Airstream in Gilbert, we choose to stay at Usery this time around since it was a little bit closer. The week flew by with errands and appointments nearly every day. We were also both very much in work mode trying to get ahead of things so we would have time to relax and enjoy our upcoming two-week family visit. In between appointments and errands, we got out for a few bike rides on the trails that wind around the park, hosted a happy hour with some other RVers (can’t believe I didn’t get a photo), and took ourselves on a fun hiking adventure. 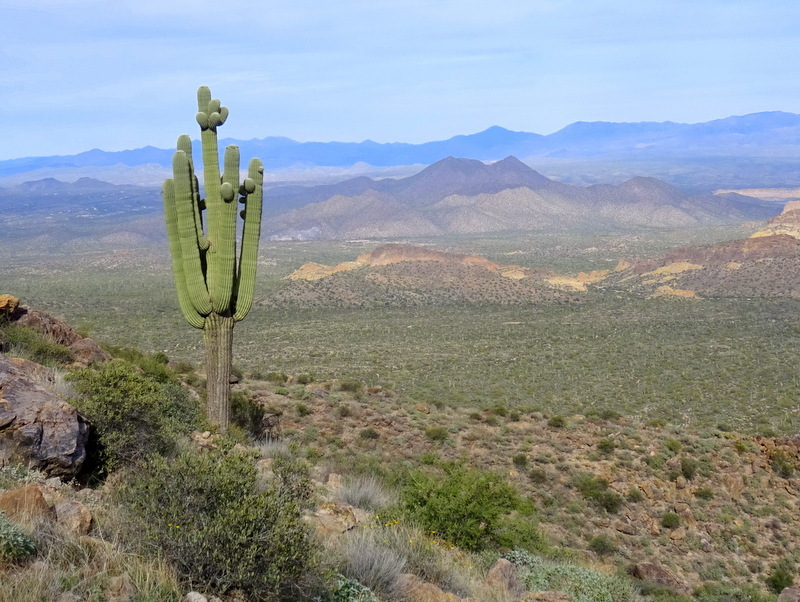 The desert is exceptionally green this winter! 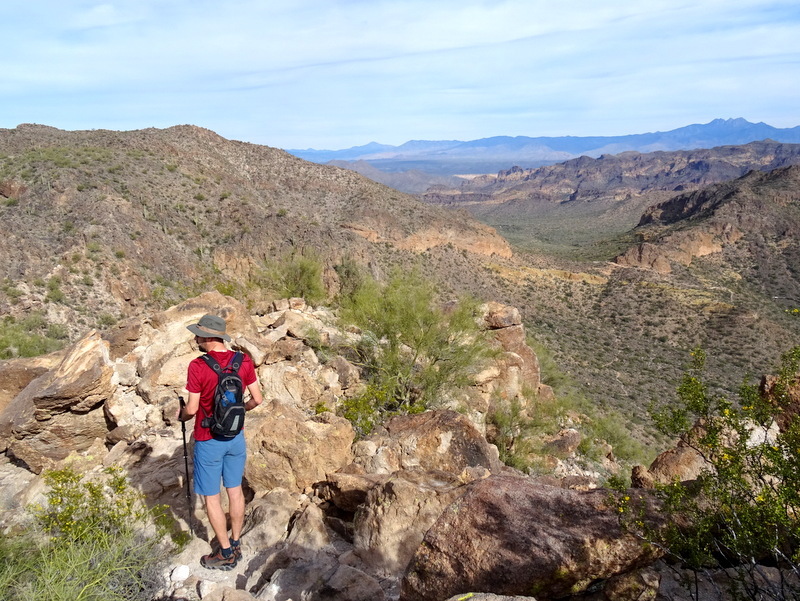 Our hiking adventure combined two of the established trails inside the park with some remote off-trail rock scrambling to form a large loop featuring 360-degree views. We found the route on the Hiking Project App. It’s called the Peak of Interest Loop and in its entirety covers about 9.5 miles. After spending extra time route finding, we ended up shorting the loop by skipping the Bulldog Canyon section which made it a little more than 7.5 miles. The route starts on the popular Wind Cave trail. We hiked this short, steep trail a few years ago and which made us feel okay about making short work of it and not even stopping to look inside the cave. After passing the cave, we slipped beyond a sign warning that we were now in a “hike at your own risk” area and started following a faint path up to the top of the cliff. 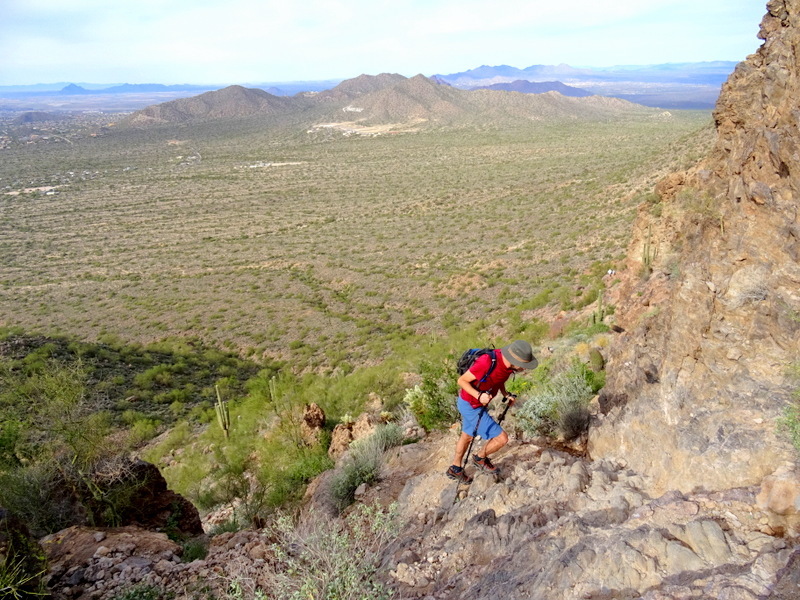 There was a lot of rock scrambling, some exposed areas, and a bit of confusion regarding the correct path, but we eventually made it to the top and took in the view. From this point, it was simply a matter of hiking along the ridgeline for a few miles. At times there was a well-beaten path including one rocky section with painted marks that helped us find the easiest climbing route. At other times, there was no visible path and we picked our way among the rocks and shrubs heading in what we thought was the correct direction. Eventually, we managed to intersect with the Pass Mountain Loop Trail and finished up our hike by following it for the next 3.5 miles back to the parking lot. 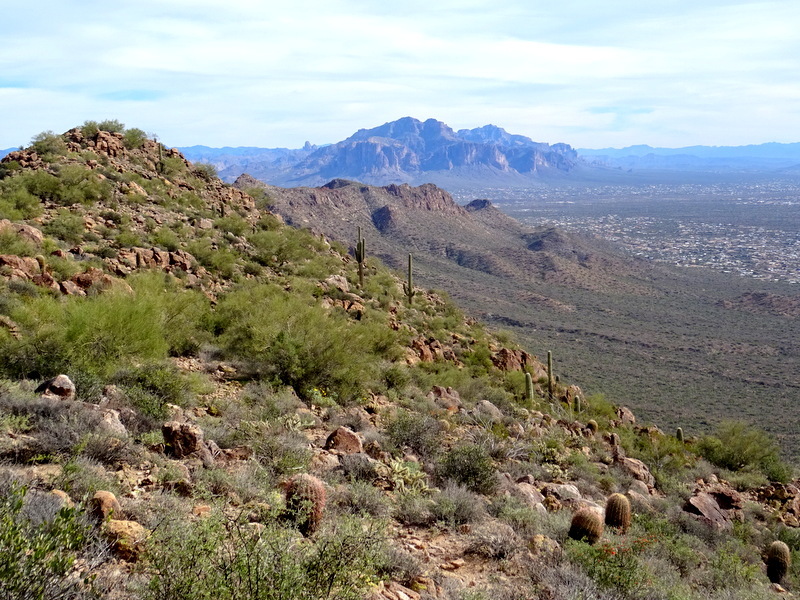 This hike will go down as one of the favorites that we’ve done in the Phoenix area. Because much of it was off-trail we hardly saw anyone else, the views were spectacular, and the added challenge of finding our own route made it extra fun! We’ve stayed there a couple times in March – for the Cactus League ballgames. The Wind Cave Trail has to be the most popular in the park!, always lots of people on that section of the trail then. Across the street is the Merkle Trail, a short loop but a fun place to take a black light for scorpion hunting. 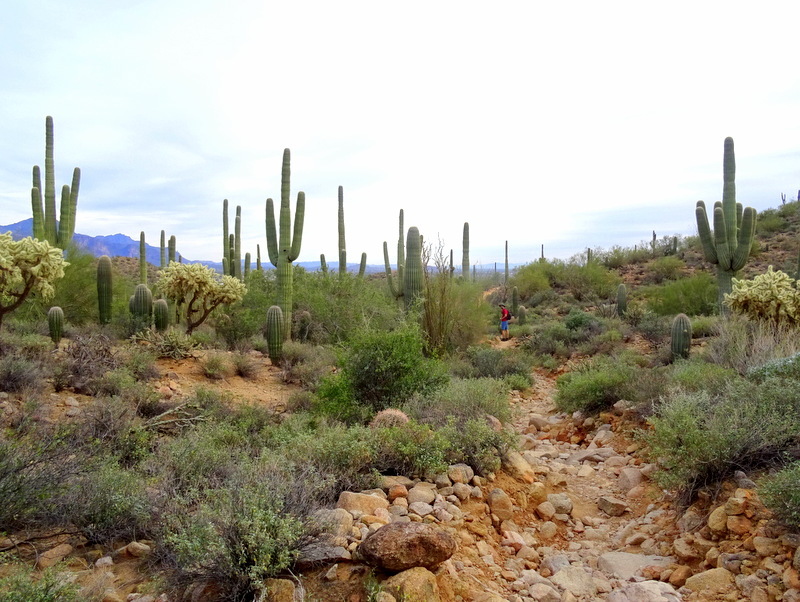 The Wind Cave trail was packed even on a weekday – very popular trail! Will have to check out the Merkle Trail next time. What an awesome hike! Love the climbing and scrambling. The desert is beautiful and green with all that rain AZ got. Lovely photos! It is amazing how green the desert is this year! It was great to meet you in Usery Mountain, thanks for hosting a happy hour. We actually saw you when you were arriving in Q but I wasn’t about to suggest a meet up at that time due to a bad cold, didn’t think I needed to share the germs! It was so great to meet you as well! If you saw us coming into Q at the end of December we also had colds that we picked up in the northeast. Ugh!